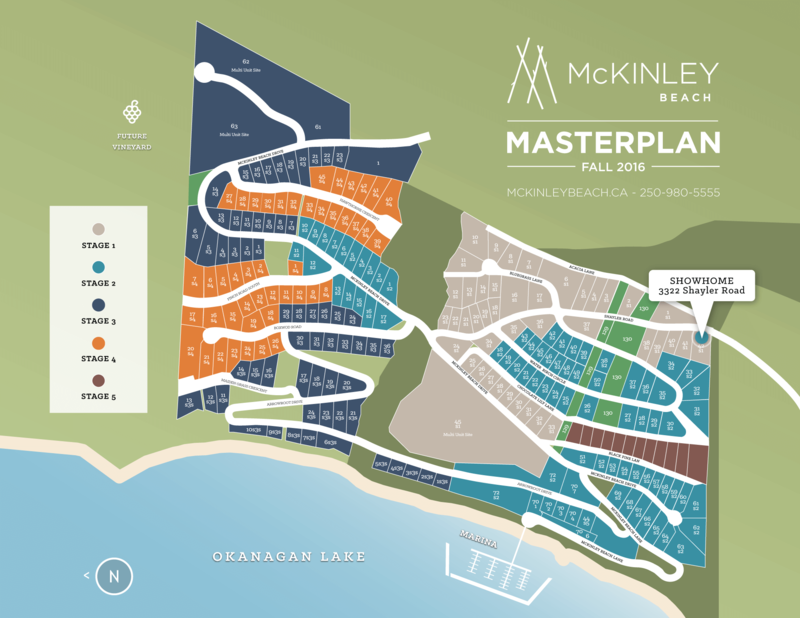 McKinley Beach is excited to announce the official release of Stage 3! Construction on homes in Stage 1 of McKinley Beach is well underway and the Western Hillside is being prepped for development as the community continues to expand. We’ve seen a lot of great activity, not only with the building starting but also with people visiting the site and spending time at the beach and in the water this summer. On Friday October 14th from noon-4pm, we’ll be holding a very special event to celebrate the launch of Stage 3 and everyone is invited! K96.3 will be on site to cover the event and provide music. You can see the locations of the new lots in the map above. Stage 3 includes 29 never-before-released lots, 5 of which are waterfront lots. All the new lots in Stage 3 have fantastic uninterrupted views. Be sure to come visit us on the 14th to check out the site, view the new lots, and see all the exciting changes since the release of Stage 2.